The Maax Souvenir drop in whirlpool bath tub has a roomy interior that enhances the therapeutic effect of the Hyrdromax massage systems. 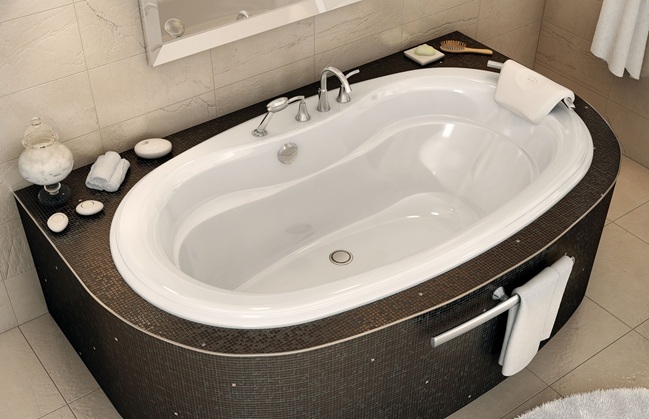 The compact exterior of this jetted tub is perfect for creating a comfortable home oasis. Call 800-720-1062 for more details. 42" x 72" x 25"